Here's an example below. 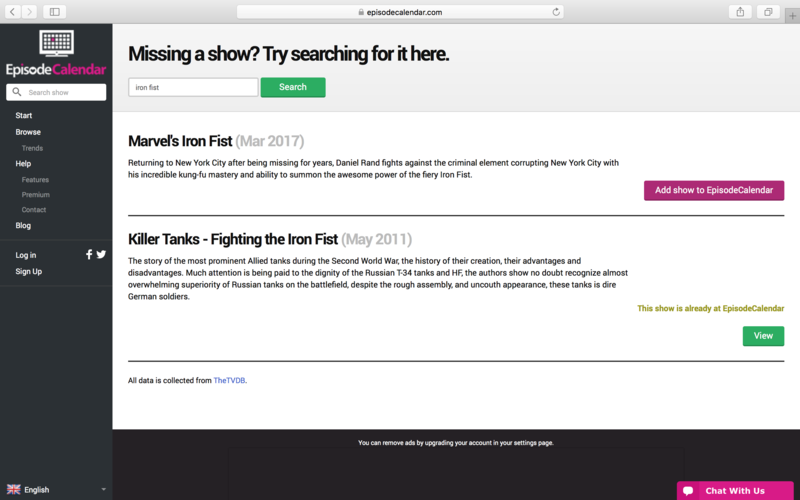 Simply search for the missing show and click the "add show to Episode Calendar" button to add to our database. « Attack on Titan Season 2!